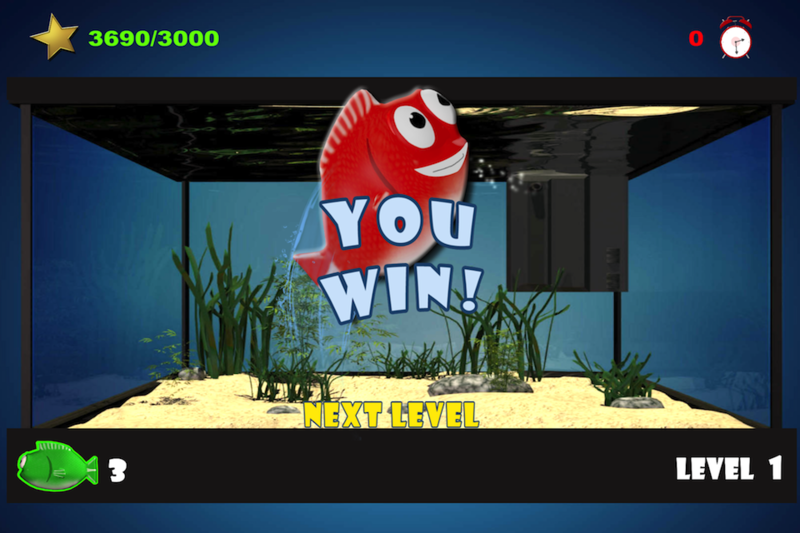 Tap the fish is the new exciting 3D Game for you. You will be the owner of an overcrowded aquarium where the fishes keep pouring in. The problem is that the aquarium cannot keep all of them. Your target is to prevent that the fishes are falling out. In order to prevent the fishes from slipping over the aquariums rim you have to tap on those having the same color. It is basically a match 3 game. 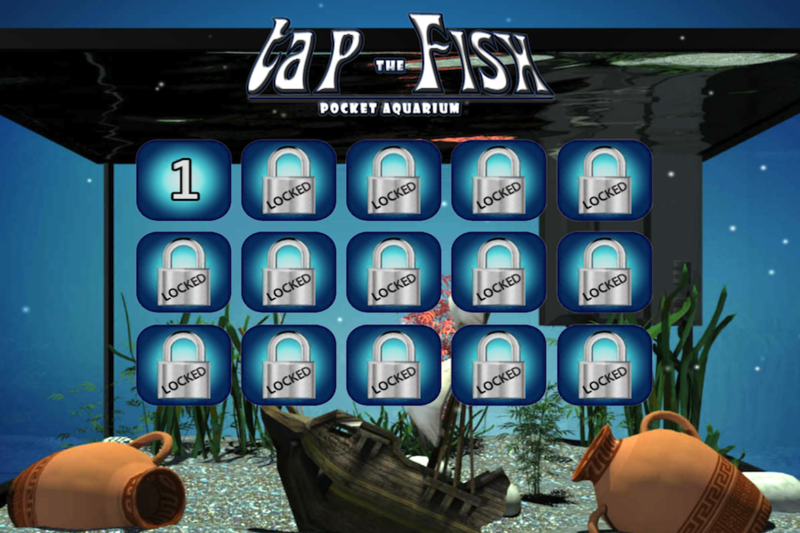 The difference is that you will have to be very quick to find the combinations as you do not have just the time running against you, but also the fishes that will not fit in the aquarium if you are too slow. If more than three fishes are falling out, you lose. 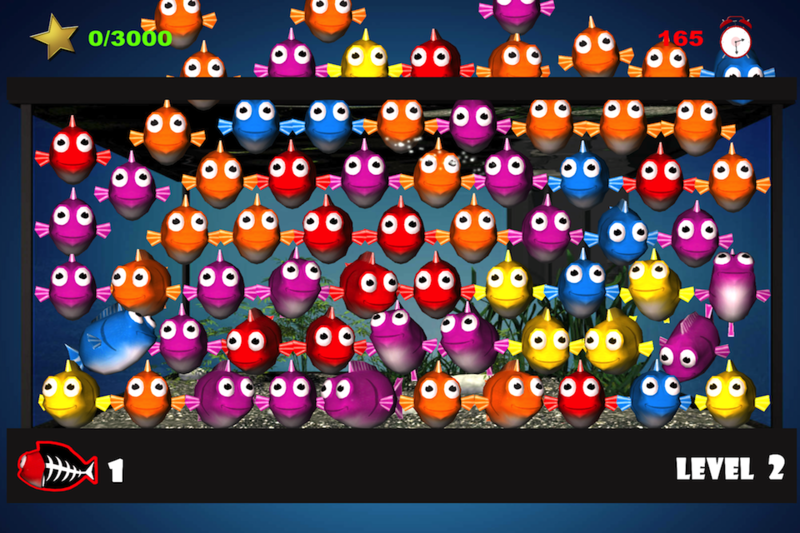 Remove as many connected fishes as you can to get maximum score. Useful advice: You need to match at least 3 fishes to get points, if you touch just 2 of them they will disappear and empty the space they occupied before, but without giving you any points. Warning: if you touch in a place where no matching fishes are, you will lose 10 points. Try to save the most colorful aquarium ever! You will not find some sort of exotic fishes living on our earth or similar but, some nice (red, blue, yellow, green, violet etc.) cartoony ones. Download the new addicting fish game and you will never be bored anymore. You can play it everywhere you want at home, at the bus stop, in a park etc.